This past Memorial Day weekend, Lori and I ventured off the mainland to travel to a place neither of us had ever visited... until a few years ago, I'd never even heard of it! 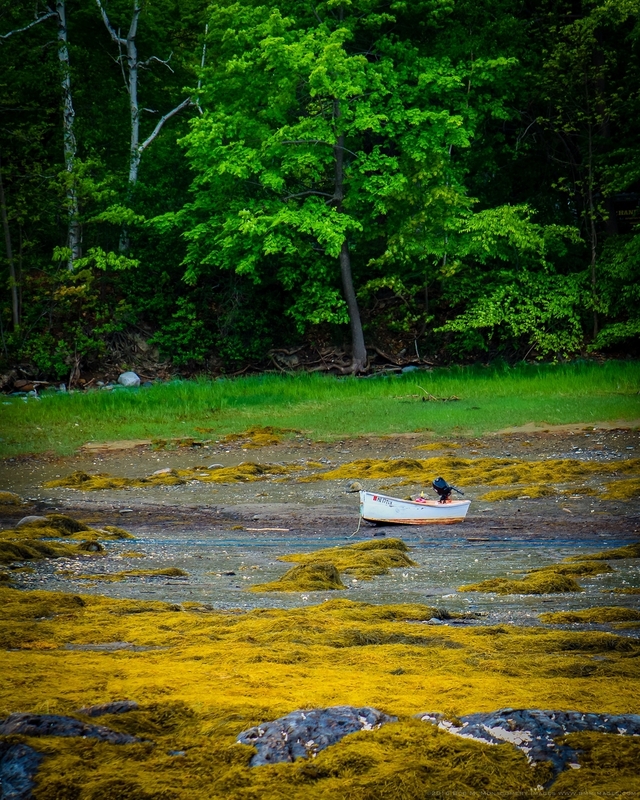 A friend whom I'd known for, well, let's just say a long time (as in, a shared childhood in St. Johnsbury, Vt., that includes the 1970s), had moved to an island in the Casco Bay with her husband and children, off the coast of Maine. Over the last few years, I'd seen Caroline's praising of the island and when the open weekend opportunity presented itself, I sought out how/what/when/why. 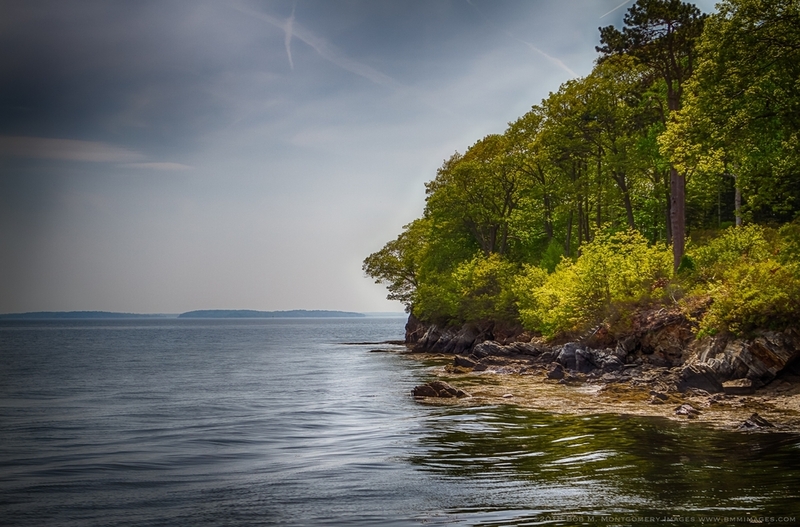 The island is the largest in the Casco Bay, but that doesn't mean it's large. On the contrary, you can walk it, in its entirety, in a few hours, which we did. There is a lovely inn (Chebeague Island Inn, in the style of a grand hotel, really, only smaller in scale), a local pub/bar (Slow Bell Café) with the state beer of Maine on tap (Allagash White, bless you Jason and Todd), a 9-hole golf course, several small beaches and, well, not much else... which is perfect for me. A short ferry ride from Yarmouth brings you to what I could easily see as a future home for someone like myself... the ocean, a small community, a pub, shockingly reliable internet and proximity to Portland (easily the best city on the east coast). What follows are a few pictures of our walk about the island. The intent of the weekend really was to relax (which we did), reconnect with an old friend (which I did, all while meeting lovely new people) and discovering a new place. Mission accomplished. If you're interested in framed prints for any of these images, please don't hesitate to contact me for sizes and pricing. Signed, limited edition art prints are available for all of these. Thank you for looking!